Killmonger has no super human powers however he is a skilled combatant, herbalist and strategist. 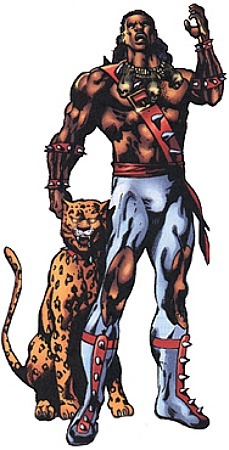 Killmonger is usually armed with a blade or a gun. He eventually contacted King T'Challa and was repatriated back to Wakanda, settling in a village that would later change its name to N'Jadaka Village in his honour. He became a subversive, with dreams of ridding Wakanda of what he termed "white colonialist" cultural influences and return it entirely to its ancient ways.